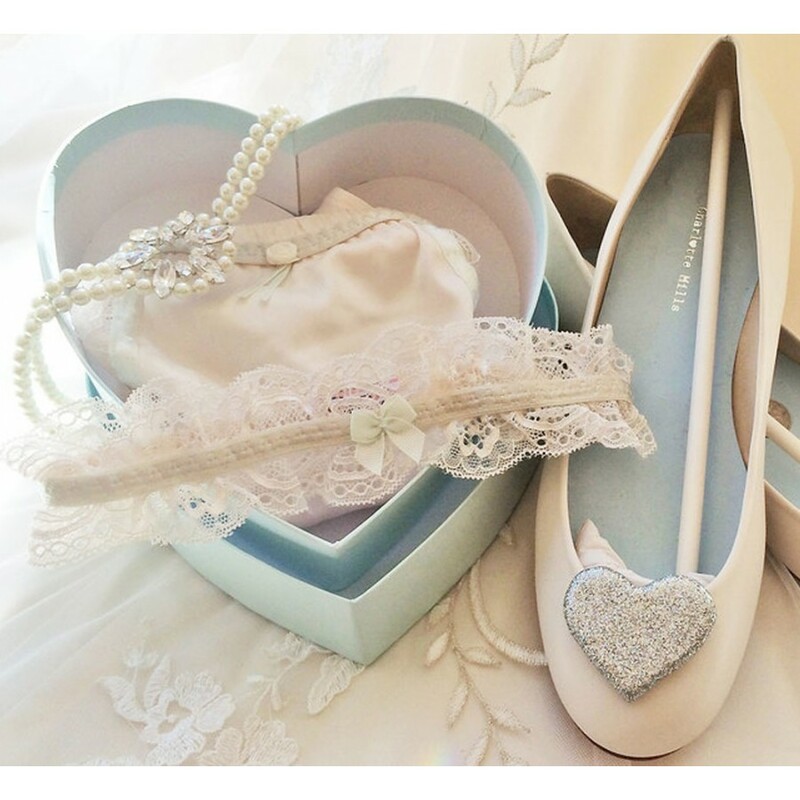 Bridal brief & garter gift set presented in our special duck-egg Tallulah Love heart box. Chantilly lace and spot mesh knickers with ivory satin panelling, featuring beautiful dusted-mint ribbon and embroidery. 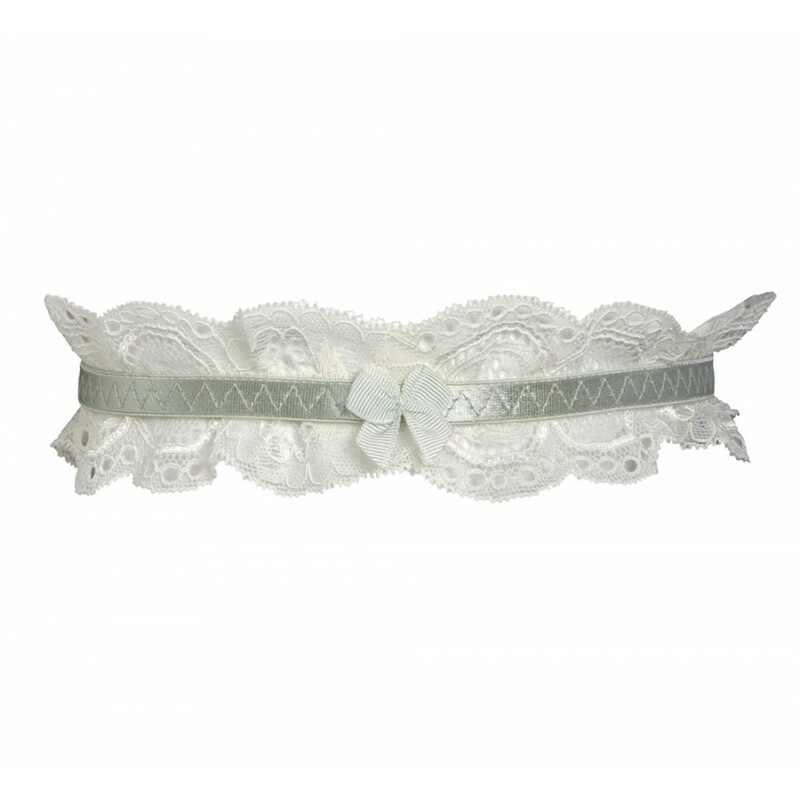 This set is completed with a classic lace garter echoing the mint tones and satin ribbon. Every bride deserves to feel special on her Wedding day and this gorgeous set is the perfect luxury treat. Gorgeous heart gift box can be kept as a memento of the big day. Satin 93% Polyester, 7% Elastane. Lace 84% Nylon, 16% Elastane.